Globe Prepaid and TM subscribers need to register to the promo by texting FREE FB to 8888. Or Globe prepaid subs can also call *143# for Free. Users will receive a confirmation message and a link to m.facebook.com upon subscription to the Free Facebook Mobile promo. Another option is to go to the Internet Browser and type m.facebook.com. Service is free until March 14, 2012.
m.facebook.com , the mobile version of www.facebook.com, where Globe Prepaid and TM subscribers can now easily post status and comments, add friends, upload and tag photos, and edit privacy settings for FREE from their handsets and wherever they are, without the need to log on to their laptops or PCs. Know more about Globe Mobile Internet by visiting www.surf.globe.com.ph or texting SURF to 8888 for free. This offer is good except for BlackBerry and those using Opera Mini-Browser as internet browser. 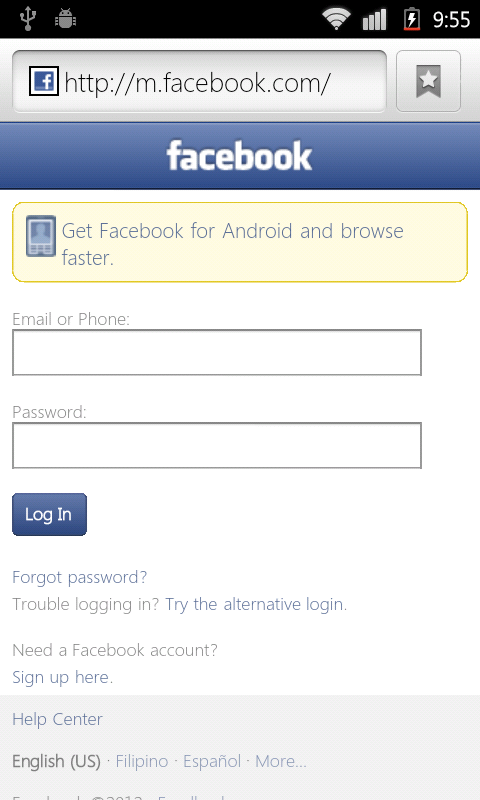 0 comments: on "How to Access Facebook Mobile for Free for Globe and TM Subscribers"